Melloy Dodge: What Makes a Hemi Engine So Powerful? What Makes a Hemi Engine So Powerful? Ram trucks are known for their powerful engines, known as Hemis, a term that the manufacturer Chrysler trademarked back in the 1960s. What’s so special about a Hemi, and how did it get that name? Hemi is short for hemispherical, describing the engine’s combustion chambers, where the intake and exhaust valves are on opposite sides. That allows the combustion mixture to flow directly across the chamber. That direct path allows more optimum efficiency. To get maximum power from an engine, it should leave no unburned gas, take full advantage of cylinder pressure, and not waste energy as it takes air and fuel in and pushes exhaust out. Because the Hemi surface area is smaller than flathead engines, less heat escapes during combustion and the fuel burns hotter. With the valves on the opposite side, they can be bigger, allowing more airflow. 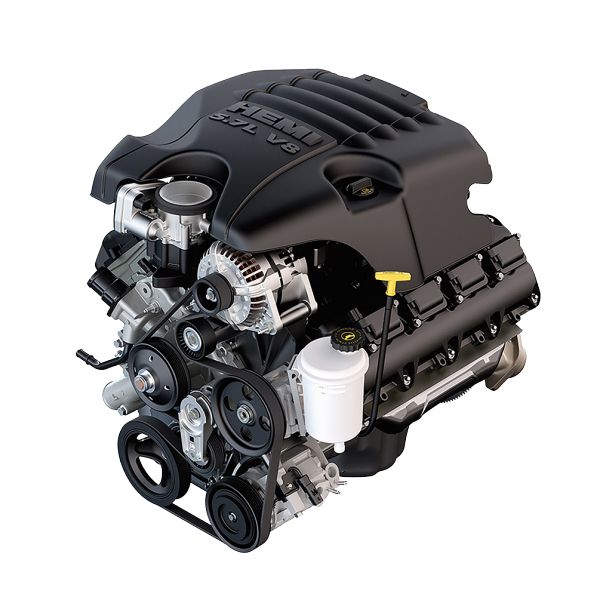 The Hemi engines are the heart of the Ram 1500, Ram 2500 and Ram 3500 trucks. Because of the engine’s power, the Ram lineup often has Best In Class designations for towing, horsepower and torque. At Melloy Dodge, our staff includes Certified Ram Specialists who’ve achieved additional training in the Rams and in the Hemi engine capacity. Call or visit our Albuquerque Dodge and Ram dealership at 9621 Coors Blvd NW, just north of Paseo del Norte, for powerful Ram trucks with Hemi engines built for the long haul.